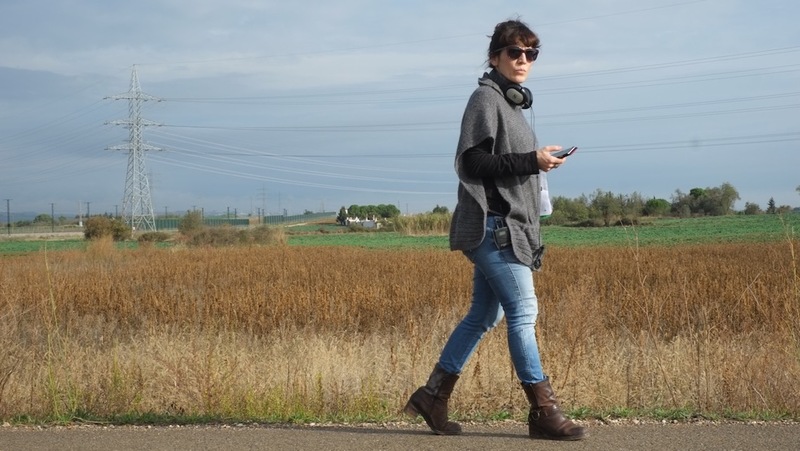 Catalan director Roser Aguilar (EWA member) releases her second full-length feature film “Brava” in Spain this weekend. Premiered at Malaga Spanish Film Festival, the film offers a portrait of a middle-class woman whose life is transformed by an act of violence. “Brava” comes 10 years after Aguilar’s acclaimed debut at Locarno Film Festival with “The Best of Me”. Why did you decide to write and direct “Brava”? I wanted to talk about how to overcome pain, especially in a time where there is so much violence in society. News of people beaten after having tried to protect someone in a quarrel were also an inspiration. I wanted to talk about both psychological and social pain. In the movie, the sexual attack suffered by the main character is important, but what is even more important is the fact that when a woman sees another woman being attacked, she runs away without helping. It is a basic reaction. The three-time Goya winner Laia Marull plays wonderfully the role of a broken woman. Did you write the script for her? Not really, because the character was younger in the very first draft. But then I changed it into a woman in her 40s where everything takes another dimension. You have an organized life and suddenly everything falls apart because of an attack. At that point, Laia’s name first came up. Luckily, she loved the script from the beginning. She has built a very truthful character and brought special nuances to feelings that are difficult to play. Second full-length feature, second female lead role. Do you prefer to talk about women? I do not mind to have male lead roles. But for me it is natural because the stories of women are less usual in films. There is a need for female-centered stories. Forty-something women have to be narrated in movies too. After a promising debut at Locarno Film Festival, why did you take ten years to make a second full-length feature? First of all, I was not in a hurry. I need to play it safe with a script. I had spent three years on the previous one. I started this in 2008 and spent some time in mentoring-schemes. When we were ready in 2012, we suffered from some setbacks in the funding by public institutions and televisions. Right now it is very complicated to finance medium-sized independent movies in Spain. Have you encountered any difficulties to develop and produce your projects as a female director? There is an obvious glass ceiling since there are a lot of female students in the film schools and there are few of us directing. Some men I worked with were uncomfortable being directed by a woman. But I would not say I have not been able to direct because I am a woman. On the contrary, I think it looks good for the records of the industry to have first features made by women. What and/or who has inspired you to become a director? It was not a conscious choice. I went to film school with the idea of becoming either a scriptwriter or a producer. Once in school I found that I preferred to tell stories myself. Without a clear reference, EWA’s president Isabel Coixet and her “Things I Never Told You” inspired me. Icíar Bollaín and Chus Gutiérrez were also important when I started. Right now, I pay attention to Andrea Arnold and her treatment of female lead roles. How should the gender equality issue be addressed in the audiovisual industry? Is it important to you? Why? The issue should be addressed. It is a natural claim. There is an unbalanced situation. It cannot be that in the latest funding commission of TVE (Spanish Public TV), they just backed projects directed by men. We have many talented women. We are half the world’s population and just 14 or 16 % of us direct movies. 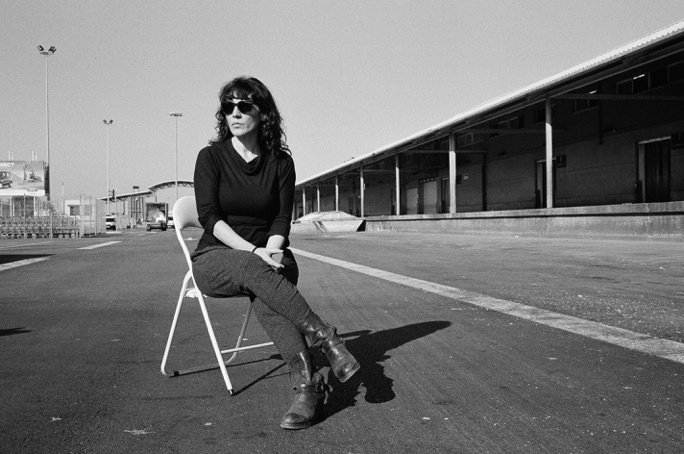 The Spanish Institute of Audiviovisual Arts (ICAA) should reward projects by female directors. I wish we wouldn’t have to make this claim! 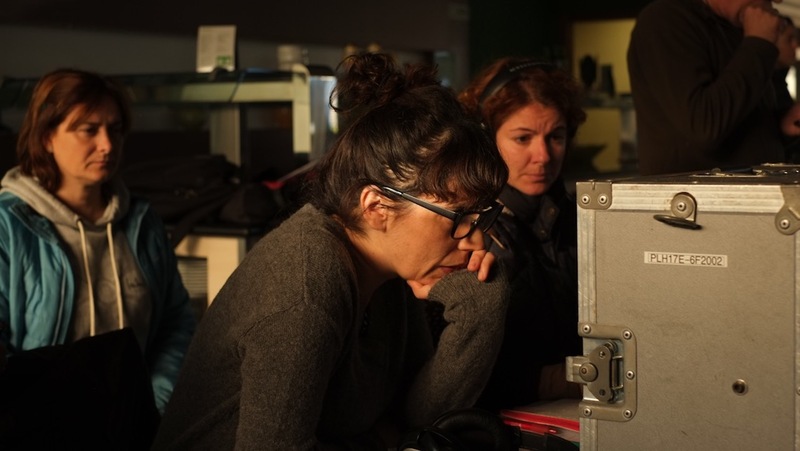 What advice do you have for women aspiring to become directors? As to any of us: you should gather your courage. You have to think about your personal and family life. Men can go on filming some months far from home. But for us … I am the mother of a small girl and I have to find the balance between work and home life. Occasionally it is like juggling with being a mother, an autonomous worker and a director. Many times I wonder why I have to choose. So be patient and keep working to become a director. ’Brava’ , Aguilar’s 2nd film, turns on how to survive grief.